If you were anything like me then when it came to having a baby, then you are really wanting to have an amazing positive birth. I wasn't scared of giving birth, but more scared of things going wrong and me not getting the positive birth I had planned for. I planned my birth to the best I could and I only wished that at the time I had known about The Positive Birth Movement which started in 2012. It was only when lily was a few months old that I found out all about it. Im not going to dive to much into my birth experience. 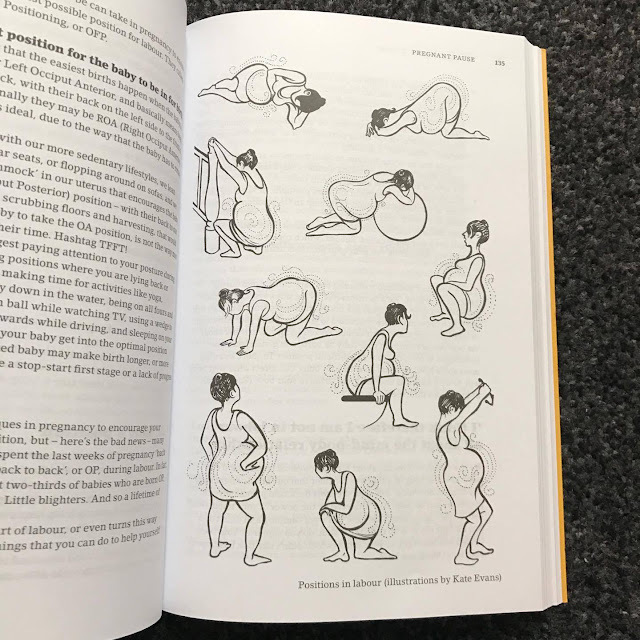 It can be read here on the blog and I plan to do a future post looking a little more closely to my birth experience and how the Positive Birth Movement could have helped. Today I want to tell you a little bit more about The Positive Birth Movement and the brilliant new book that has just been released to help all the pregnant women out there. So, The Positive Birth Movement. This was started by Milli Hill and simply started in her living room where she had a meeting with a small group of people. Motivated by her own first birth experience and not having her voice heard she decided to set something up that would help other pregnant women have a better birth experience and a better chance of getting their wishes and own voices heard. As well as on social media, there are now over 300 live groups you can attend which all give you support and help on achieving that positive birth that you are really wanting. All run by women who are all concerned about every women getting her best possible birth experience. But if you are not a group sort of person and you would rather stay home and find out all about how you can have a positive birth, you can now buy Milli Hills the Positive Birth Book. We were sent one to read and although I am not pregnant at the moment, I must say its the most helpful and empowering book I have ever read. Every pregnant women needs this book. So one thing you need to know about me. I don't like reading books. I really struggle to keep the concentration on a book and generally drift off deep into thoughts or a daydream. But this book, I read EVERY page, and not just because I was reviewing it, but because I loved reading it. Im not even pregnant or planning my next child any time soon, but I could not stop reading about how I could make my next birth better. I didn't read any pregnancy or baby how to books during my pregnancy. I was one of those people who was like, "I don't need to read a book". Let me tell you that there isn't a single pregnant person who doesn't need to read this book. Even if you are 100% sure on how you want your birth to be, even if you are strong minded and just like me and not scared of giving birth, this book has so much that can still help you. Not only that, but as Milli Hill has been through both types of birth, a non positive one and some positive ones, who better than to listen to. I know that a lot of people think that an advice book may be boring, I must admit that some probably can be when your reading facts and gaining advice, learning new things. But not this book. Milli Hill really captures your attention with the way she has written this book. Rather than feeling like it was a book giving me advice, I really felt like this caring person was sitting talking to me, supporting me and a few times she did have me giggling at some of the comments made about silly little true and untrue facts. The way she breaks down this book, means that you don't miss a thing. Broken down into 13 chapters she talks you all the way through Giving Birth, Helping you with your options, Birth Plan, and then also talks about "what if" for when things don't go to plan and then how to cope with that. There is also a section for about after the baby is born. It really enlightens you on things that you would have never thought about or probably even known about. Reading this book I was very surprised at the amount I didn't even know myself. The book isn't all advice, it also has stories from other women who have had positive births, illustrations to help with things like positions and also shows a very different way to make a birth plan by using pictures. I will definetly be using these for my next birth. 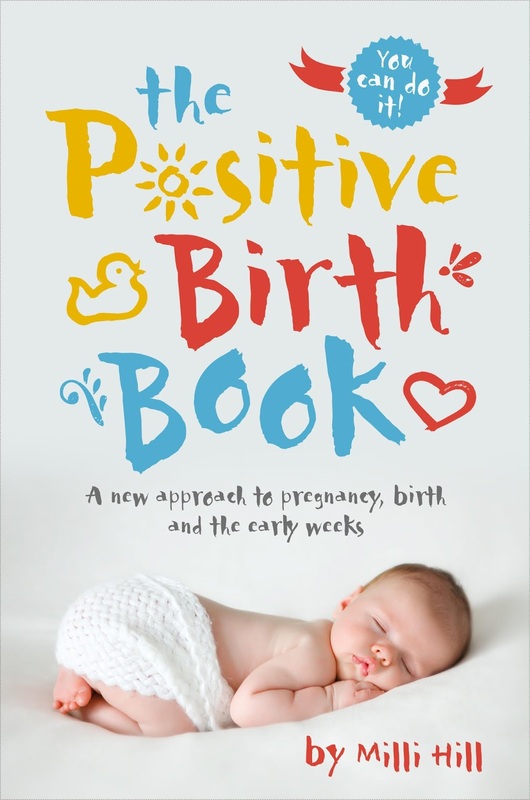 If you wern't ready to have a positive birth before this book. I guarantee you will be after. I finished reading thinking to myself "YES! Im ready to do it! Im ready to give Birth". Just perhaps I will wait until i'm actually pregnant. I have been telling all my friends about this book and so if you are a pregnant women reading this review, I urge you to go out and buy it. You can get it from Amazon for £10.49. 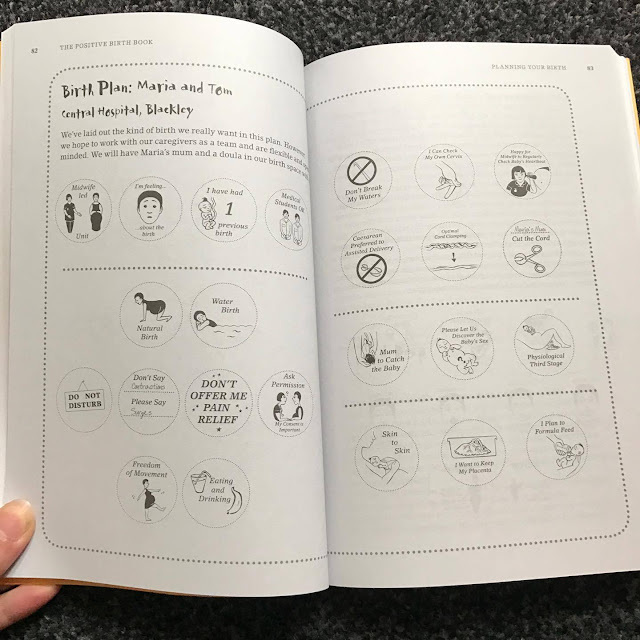 One brilliant point Milli makes in the book is that you spend thousands of pounds on making things like your wedding day perfect, but what about your birth? Shouldn't that be special enough for you to put money on making it perfect? I think a great place to start is by buying this book! Hopefully you are totally sold on this book and are now ready to enter a competition to win one? Not only that, but in one months time I will be having a Milli as a guest on the blog answering all your birth related questions. So if you have a Question, concern or need any advice, please post it below! Enter on the Gleam app below to win a copy of this book and have your Question Answered. Do you think you had a positive Birth? Could this be the book for you? or someone you know? A book written by by someone who's been through it always helpful. The Positive Birth Movement sounds like it helps women to have more confidence in their choices and get a bigger range of perspectives. This book would be for my niece. I think she would find it very useful. For Friend. As would love for her to have the best possible birthing experience. I think we need to bear in mind that we are not in control of everything, we need to relax, go with the flow of contractions, etc. Whilst having a Birth Partner / Supporter whom we Trust and can assist in helping relaxation, etc. I've been told each birth is different and no two are the same, no matter how you try, it's gonna hurt! I've had two incredibly positive births, both in a midwife-led unit, one on dry land & one in water, and both under 5 hours with just gas & air. I'd love to win this for my sister in the hope she can have as positive experience as me! This will be for my friend who is currently expecting. I'm expecting my 2nd child due 9th march I didn't read anything like this with my first nearly 9 years ago I think I can learn so much from this book. The book would be for me! I'm 32weeks pregnant, had a pretty good labour with my first child so hopeing this goes the same waylaid. I'd like this for me, sounds right up my street! I don't even think I'm going to have any more babies and I want to read this!